As 2016 draws to a close, we are looking back at some of our favorite memories and awesome volunteers. Because of all our supporters, Reach out and Read KC was able to accomplish new milestones and reach even more families in 2016. Our Hooked On Books book drive collected over 24,000 books from 20 elementary schools in 2016. 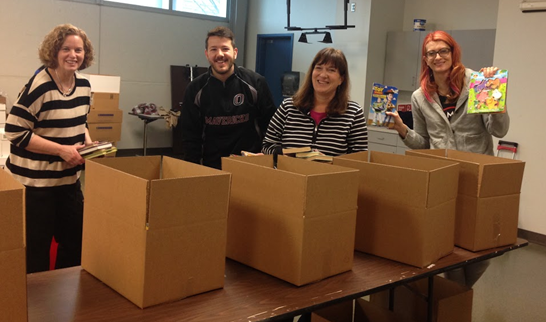 Here are just a few of our dedicated volunteers helping us sort books! 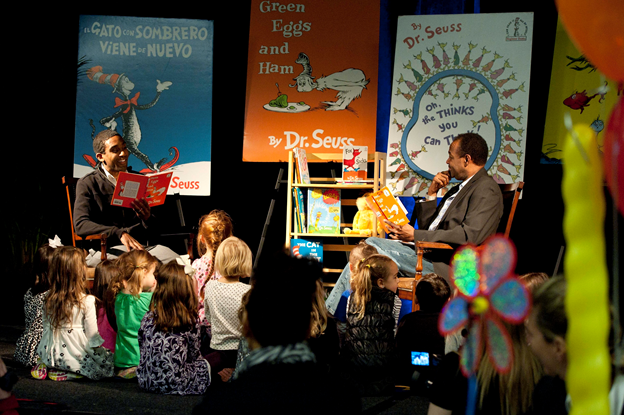 On March 4, we held our annual Green Eggs & Ham breakfast. Here we have Bryan Busby and Neville Miller from KMBC -TV reading to some of our youngest breakfast guests. This year, because we have something extra special to celebrate in 2017, we are replacing our Green Eggs and Ham event with our 20th Birthday Breakfast! View more information about our 20th Birthday Breakfast. 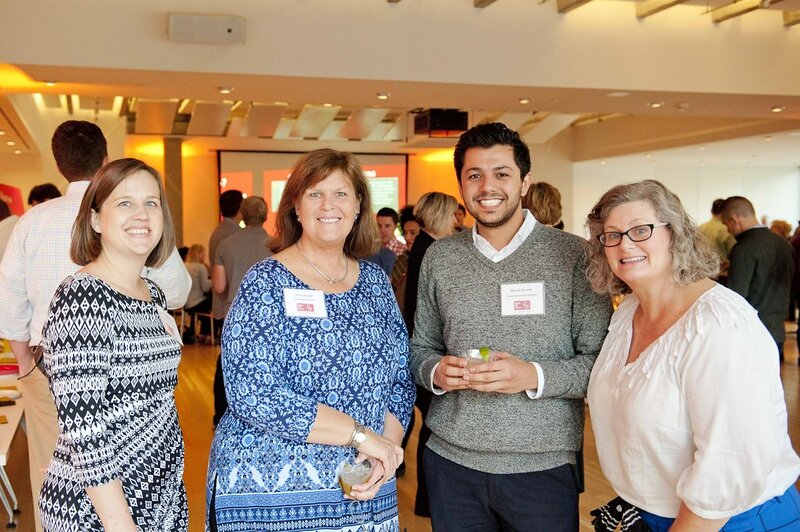 Our annual Books on Tap fundraiser took place on October 19th at the 1900 Building. It was a record- setting success raising over $9,000 for Reach Out and Read KC! This translates into providing over 1,800 books and literacy advice to children in KC. For more pictures from this fun event, look through our photo album. On December 2nd, 2016, Reach Out and Read Kansas City reached a new milestone for our program. 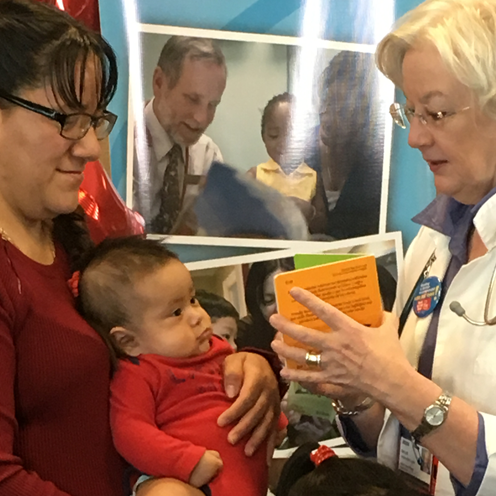 We delivered our 1 millionth book during this four month old’s well-child visit at the University of Kansas Medical Center Pediatric Clinic. Reach Out and Read KC recently delivered our annual report for the fiscal year 2015-2016. 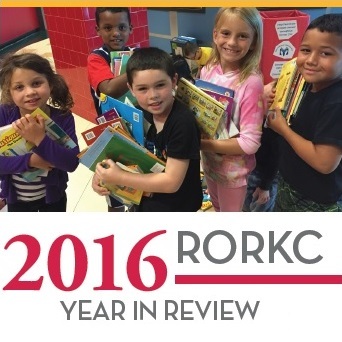 We had a record breaking year with RORKC providing 83,763 books to children at over 51 clinics. View the full report. 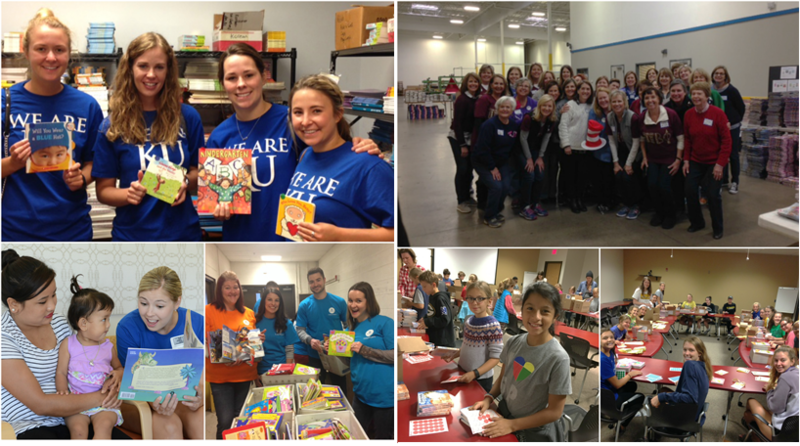 Thank you to all of our volunteers who made this year monumental for Reach Out & Read KC! Below are only a few of the many who volunteered their time to help our organization succeed. Want to help Reach Out & Read KC continue to provide books and a foundation for success to over 29,000 children in 2017? Please consider giving a gift this holiday season.